A friend of mine raised an interesting question on Facebook yesterday in response to the Red Hot Chili Peppers’ admission that they had mimed their Super Bowl performance. So Milli Vanilli and Ashlee Simpson are run out of the music industry, but the Red Hot Chili Peppers get a pass? Where’s the outrage? 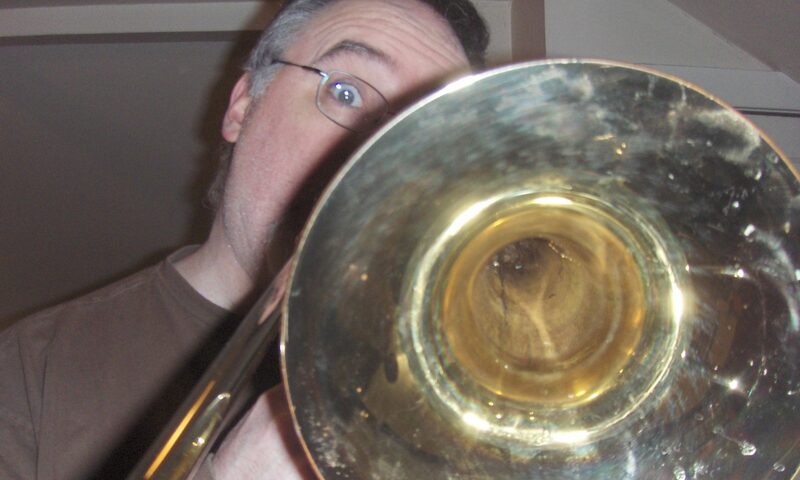 Where is the endless moralizing and pontificating about the virtue of live music? Bueller? Bueller? In case you were watching Puppy Bowl and don’t know what all this is about, the Red Hot Chili Peppers, at the invitation of Super Bowl halftime headliner Bruno Mars, “performed” their song “Give It Away” as part of the Pepsi-sponsored, NFL-sanctioned festivities. We can ponder the overall appropriateness of this another time; for now, I will just assume they promised to sing the Krusty-approved lyrics. What is important to this discussion is that the vocals of the performance were live while the instrumental performances were pre-recorded. This might have gone unnoticed if not for the fact that Chili Peppers bassist Flea and guitarist Josh Klinghoffer didn’t bother to plug their guitars into their amps. 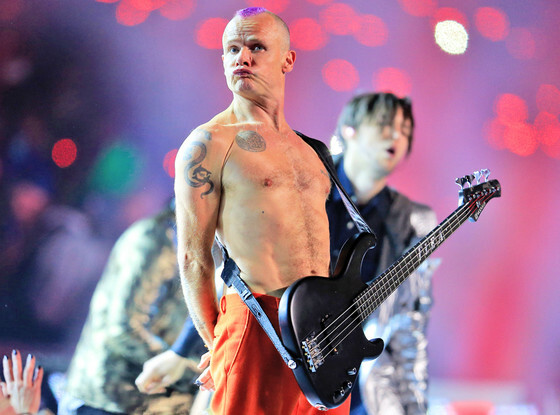 Flea offers a perfectly acceptable explanation, not only for the pre-recorded instrumental tracks but also for the band’s decision to expose the fraudulence of their performance. “We thought it better to not pretend. It seemed like the realest thing to do in the circumstance.” All of this makes sense to me, and it would seem that the initial uproar over the issue has settled into an internet-wide shrug of acceptance. Hence, my friend’s observation on Facebook above. So why the double-standard? Is it because previous scandals involved lip-synching, while this was more like karaoke? What makes one more acceptable than the other? Actually, I think it goes a little deeper than that. My conclusion is rife with generalizations and assumptions, but I think it gets close to the heart of the matter. To better understand why Flea and the boys skate while Rob and Fab get the shaft, I think it is essential to consider the kinds of music we are talking about and the fans of each genre of music. In general, fans of pop music tend to be less critical of this sort of thing. They don’t care how music is made, they just know what they like and mostly disregard the rest. Rock fans, on the other hand, are quite passionate about their music and the process of its creation, often obsessing over production details, gear, and differences between live and studio performances of their favorite songs. As such, they develop a higher standard for music that pleases them, and tend to be more critical of artists and music that does not meet their lofty criteria. It stands to reason that the outrage over the phoniness of Ashlee Simpson’s SNL performance, Milli Vanilli’s entire career, or even Beyoncé’s lip-synching of the National Anthem at President Obama’s second inauguration comes not from their own fans, but from rock fans eager to expose the inferiority of music that tries to appeal to a less refined taste. Pop stars, in the eyes of this particular torch-bearing mob, are lesser musicians at best, poseurs who are trying to fool the poor, unenlightened masses who blindly consume their product. They must be cast out and made an example of, for the betterment of all human artistic endeavor. The record labels are all too happy to oblige, knowing that the offender’s only crime was getting caught and the public will warmly embrace the next charlatan. They might also give an extra push to an acoustic artist or two to maintain the appearance that they are responding to the groundswell. So why don’t the Red Hot Chili Peppers suffer the same slings and arrows? For one thing, their ability to perform their own music has never been in question. So the same people who were calling for Ashlee’s head are likely to be appeased by Flea’s explanation. It’s not that they were trying to fool anyone, it’s that their hands were tied by the NFL’s policy regarding halftime performances. Also, as I mentioned before, the majority of pop music fans don’t really care whether the sounds they hear are being created on the spot or not. It all sounds the same to them, and if they don’t like it, they’ll just check out a few more minutes of Puppy Bowl before the second half kickoff. It’s not as if the RHCPs are getting off scot-free. There are still plenty of commenters taking them to task for accepting the gig in the first place, knowing it would mean compromising their integrity. Again, Flea acknowledges this in his letter and explains the band’s decision to my satisfaction. I imagine the folks that still have a problem with this are some combination of Pepper haters and live performance purists. Their numbers are far smaller than the angry mobs of rock fans who had heard “Blame It On the Rain” one too many times in the summer of 1989 and were lucky enough to be given a perfect excuse to demand their exile from the musical landscape. So, it would seem, the Red Hot Chili Peppers live to give it away another day. Flea Unplugged – You Mad, Bro?